It was about eight months ago when we first heard about Barbara Ingram School for the Arts (BISFA) – a performing arts high school in Hagerstown, Maryland. 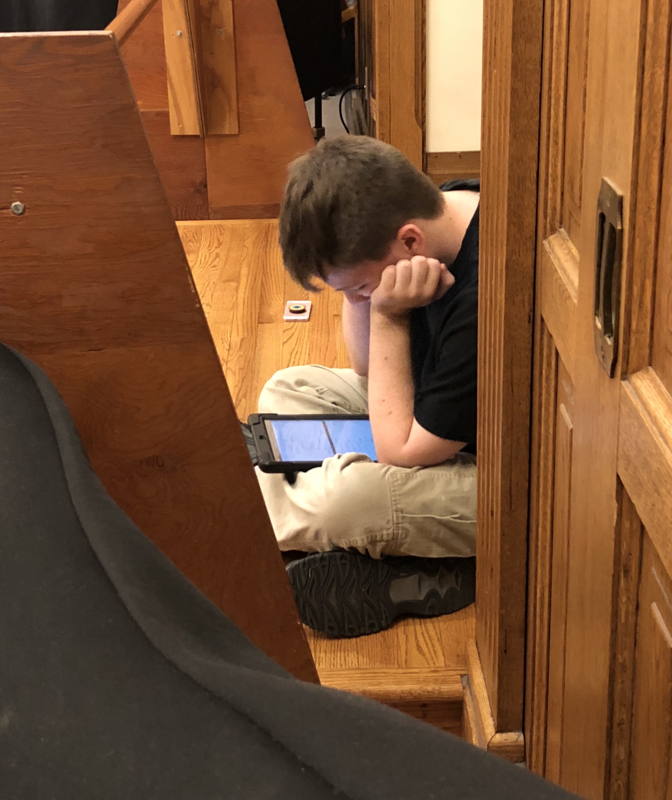 One of their teachers reached out to us after reading a Forbes feature on ProductionPro and wanted to find out how they could get it into the hands of their students, who all have iPads as part of the school’s 1-to-1 program. The iPad has become such an integral tool to the faculty and students’ daily workflow and they were looking for a program that caters specifically to helping them put on their shows. That’s how BISFA came to be the first school to pilot ProductionPro on an MTI show. 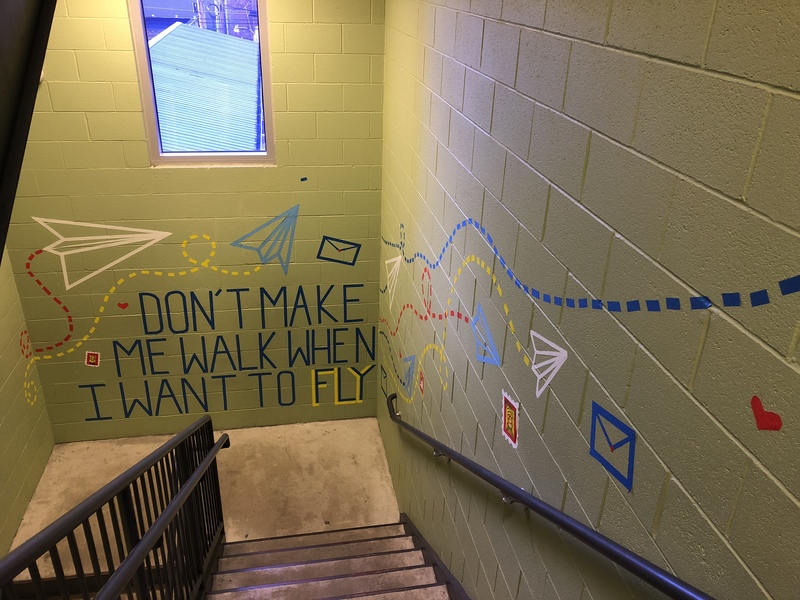 A student-decorated stairway at Barbara Ingram School for the Arts. We recently paid the BISFA cast and crew a visit during rehearsals for their spring musical HAIRSPRAY. We had meant to find out how the team – and various departments – were using ProductionPro, and ended up staying an entire day being completely enamored by the talented high-schoolers and clearly passionate teachers. “It’s almost like as soon as you walk through the door, a bucket of love falls on you because everyone here is so happy and accepting of each other,” says student Makiah Cross. Artist-in-residence and choreographer, Nicole Ruark. 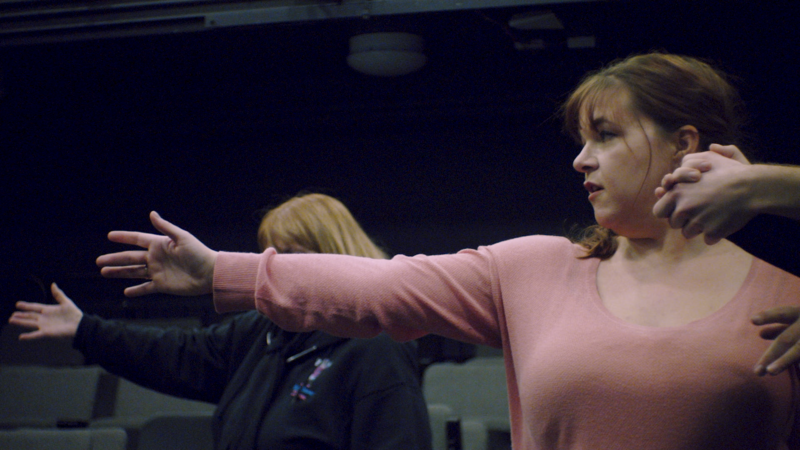 As rehearsals started, we began noticing some interesting nuggets as well – the room was clean and efficient, the students had their lines and choreography down, and everyone seemed completely at ease with whatever they were doing. They had not had choreography in a while, and this session was supposed to be an early stumble-through. Student cast member running his lines in rehearsal. While waiting their turn to enter, students were discreetly running lines and revising choreography…on ProductionPro – they seemed to have seamlessly integrated ProductionPro into their rehearsal process! Even though we’ve seen the same in much larger, professional rehearsal rooms, it was really something witnessing this process take place in a high school musical rehearsal. Student Rachel Lum, who works in the costume shop, appreciates being able to reference rehearsal clips while not actually being in rehearsal. Technical theatre student, Rachel Lum. A beneficiary of Rachel’s work is fellow student Judah Ickes – who played Mr. Pinky in HAIRSPRAY. He says being able to see his costume early helped him with shaping his character which, in turn, better prepared him for rehearsals. 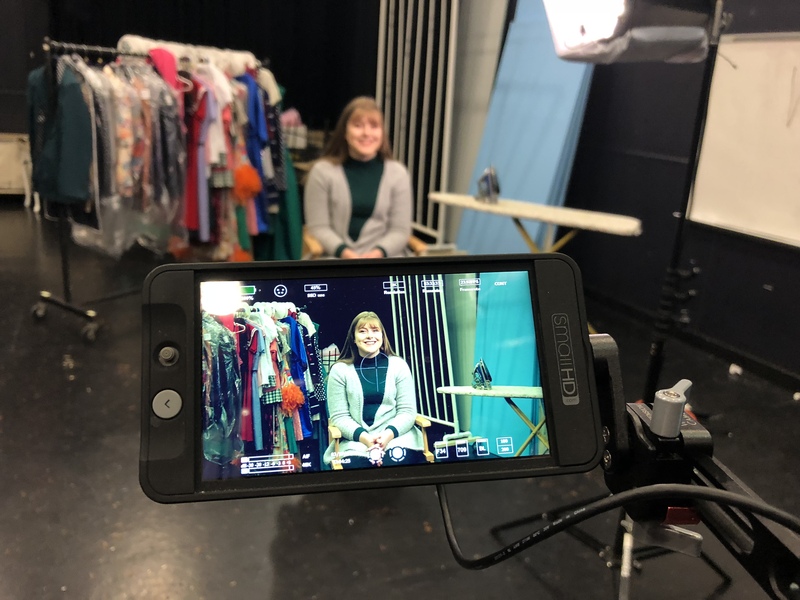 Nicole sums it up best when she expresses how ProductionPro has helped the BISFA faculty and students, adjunct faculty and external team members get on the same page. We’re honored by their warm reception and inspired by their vibrant energy, and we cannot wait to introduce ProductionPro to more high schools! Want to get your digital scripts and scores – way before your books arrive? 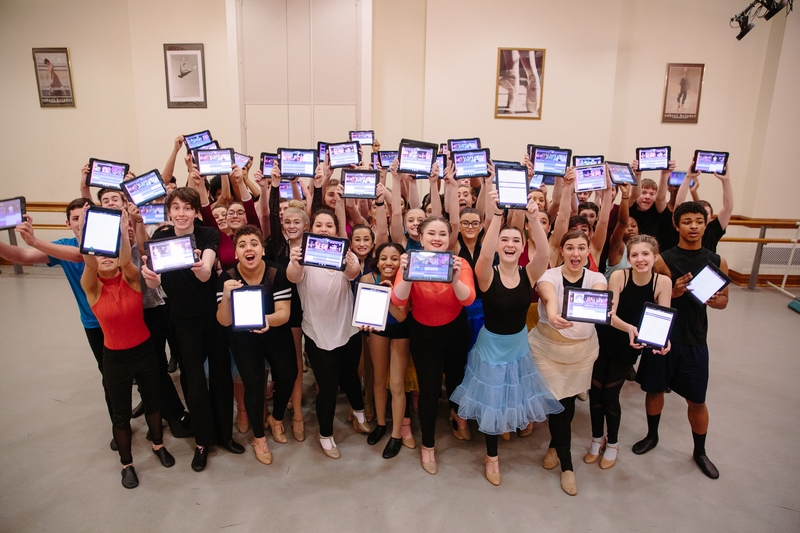 Cast of Hairspray at Barbara Ingram School for the Arts with their iPads and ProductionPro! In Pre-Production? Here’s 3 Tips To Get Your Research & Designs In Order.